Just keep standing on your own ant hill. I wrote a blog about colors recently. The emotion of colors. But images certainly evoke an emotional response too. I’m no psychologist but I sure know what makes me feel happy, and which colors make me uncomfortable and melancholy, and at my age, I’m out for all the color I can get in my life. However, I wanted to share this image. This is my screen saver and I took this photo (maybe Keith did) just a month or so ago in Kenya. I look deeply into it and it means so much. Of course it evokes wonderful memories of our trip, but other than that, the combination of colors is soothing. My screen is hi definition and when I look at this image I’m transported back to Kenya. This animal is a Topi, he lives on the open Savanna and actually looks like he’s wearing jeans, his legs and rump are denim blue. As you can see the Savanna is quite bare with low bushes and lots of ant hills which become lookout posts for the Topi. We saw dozens of these guys standing guard over their families. They seem to be placed every fifty feet or so. It’s really comical, I know the meerkats to the same, and this is a darn big animal. If we think about it. We got up there on our own, often in spite of the comments and its because we believe in doing the thing we were destined to do. 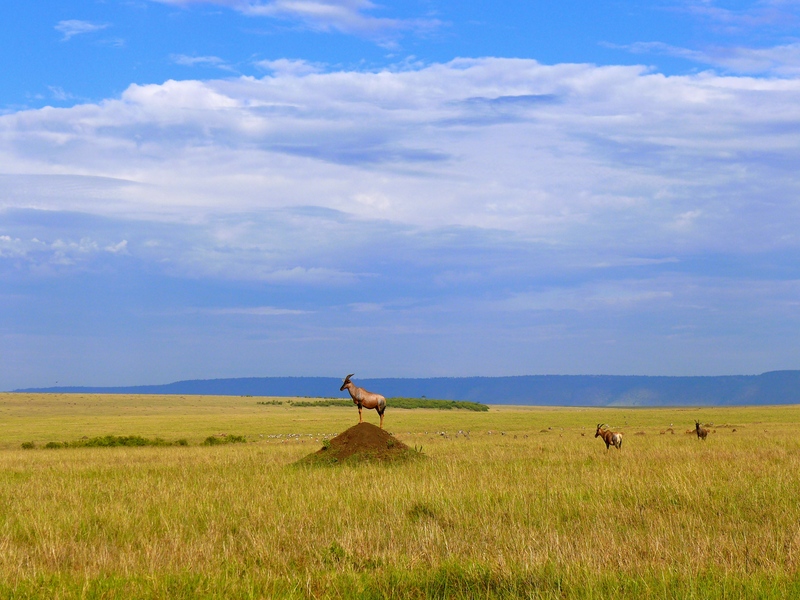 Thank you Topi, you keep standing up there and guarding your flock and being there for all to see and comment any way they wish… He’s the one on the ant hill, standing proud. The colors are soothing, indeed! I think my personal anthill is to speak out when I see injustice. I just can’t keep my mouth shut, can I? But this is good. 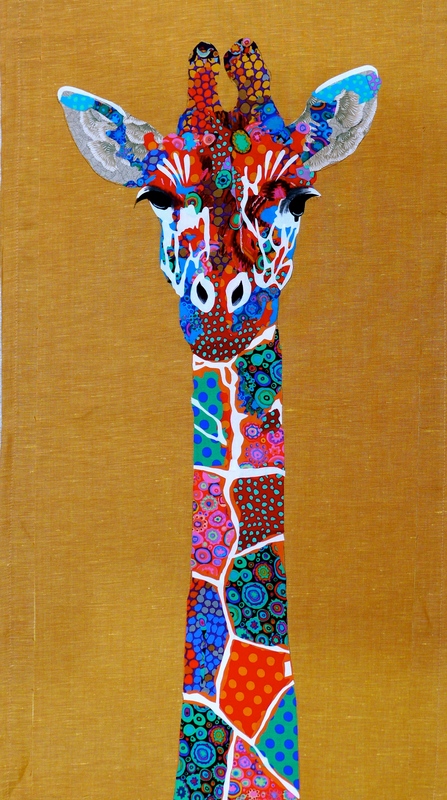 I love the giraffe – the colors are wonderful! We must chat at Empty Spools so I can find out about your trip to Kenya. It’s on my bucket list, so perhaps I can get some tour company suggestions. Oh, Candy, thank you. it he way it is. Yes I do and it will be printed as a pattern next year. Hi Pam! I love this giraffe quilt! Do you own the pattern? I would love to buy it!!! I haven’t done this as a pattern yet because I’m still teaching it, but it will be next year. I too would love the pattern Love it. Love the giraffe your so talented we so you in New Zealand some years ago. I love the giraffe. I live in England and have just bought a little white car on which I would like a giraffe. I would like the pattern for your giraffe she is beautiful but also would you be offended or would it be a copywriter problem if I had a copy of the giraffe on the bonnet of my car taken from your picture. Love uour giraffe is possible to buy you pattern. Previous PostCapture and Create – The Giraffe. Next PostCan you see the water?